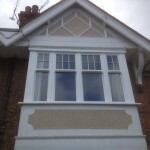 Are you looking for new box sash windows or casement windows in Clapham? 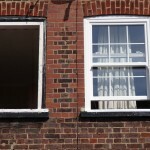 Are you a homeowner looking for replacement windows in Clapham, Clapham Common or the nearby areas? If you are looking for a reputable windows company, we would be happy to give you a free quote for your new windows, doors or conservatories. Whatever material you choose and whatever design you are looking for, our high quality windows will enhance the look of your home, whatever its age, style or character. We supply and fit sash windows for Edwardian and Victorian houses and flats, aluminium windows for commercial properties and timber windows for new build homes. We know our customers want products that will stand the test of time and we only work with manufacturers whose products come with a guarantee of ten years. 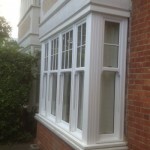 One of the most popular choices for replacement windows in Clapham are sash windows. These “next generation” of technically advanced products maintain the classic look of these windows, while offering maximum energy efficiency, high security and excellent functionality. 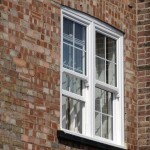 Once only supplied in wood, sash windows now come in lots of different variations, materials and finishes. 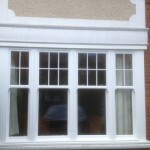 So if you want to retain the look of your period house or flat, then we can design a sash windows system that will reflect the timber effect but with more modern materials, such as uPVC and aluminium. 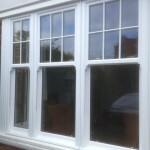 The finish of the window frames can give the appearance of wood, thus retaining your property’s integrity. If you are thinking about replacement sash windows or other windows for your Clapham property, come to Merton Windows first. Please call us on 0208 542 2233. Many period properties retain their original box sash windows but they can be fraught with problems. Here are some key signs that you need to think about replacement windows. The condition of the wood: The organic properties of wood windows can lead to accelerated decline in quality if they are exposed to moisture and too much heat. Our replacement sash windows have state-of-the-art coating, so even if the frames are timber, they will never be susceptible to weather damage. Faulty parts: If the parts on your window are worn and weak, this might mean you can not open and close your window smoothly. It can be very costly to replace parts and new windows will provide you with slick fittings for smooth operation. Single panes: While you will be able to see cracks in the pane, it is worth considering that single panes are poor insulators of heat and the benefits of double and triple glazed windows can prevent heat loss by 50 per cent and reduce your own carbon footprint. Noise from the outside: Do you live on a noisy street? Older windows tend to be poor insulators and replacement windows will dramatically improve noise reduction. Keen to find out more about our sash windows range and other products in Clapham? Ring us today 0208 542 2233, email us at [email protected] or fill in an online enquiry form.